From the beginning the listener may well be wrong-footed. Tim Treloar is the recast Third Doctor so instinctively the listener may assume that is who he is narrating as. Instead the central character is the Prime Minister whose Downing Street is more Little Britain than three day week and power cuts. There is of course an alien threat and he goes to UNIT to cajole some support from the Doctor. As they investigate and resolve the latest alien threat, it is clear this is all a sideshow; Jonathan Barnes’s tale is one of two men meeting each other and not liking what they find. The Damascus of the title is explained within the story, but I suspect Jonathan is playing a game with us — one of the protagonists has a Road to Damascus moment that may well shape future events. Time will tell. The Prime Minister is very well conceived and realised and it would be disappointing were we never to learn more of his interactions with the Doctor. 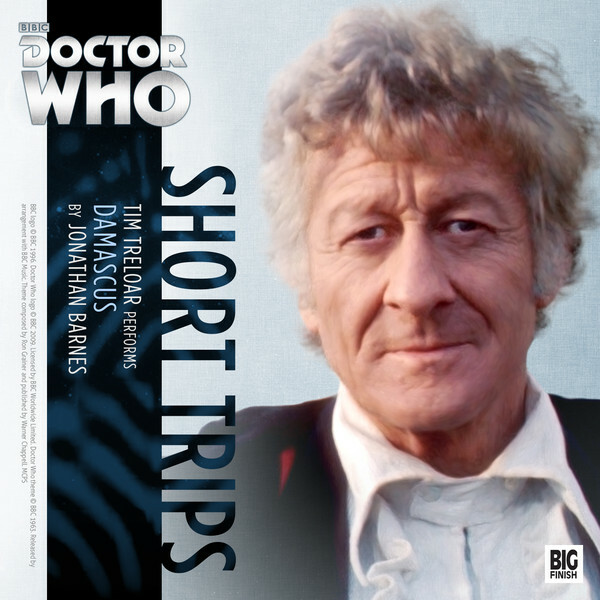 If ever a Short Trips demanded a follow-up, this is one I would be very pleased to hear more of, particularly in a Third Doctor Adventures [hint Ian A / David R if you’re reading this!]. Another hit and one more reason to invest in this easy to digest series.